The aim of Dinner Divas was to find the best food blogger from among those bloggers who entered into this competition. The first 6 episodes saw 2 bloggers going head to head with the best one going through each round. This was followed by the semi final round which had to be a 3 course meal. The semi finalists were awarded points and the top 3 then went into a 3 round challenge to decide the overall winner. Here food bloggers were encouraged to up their game and bring food bloggers into the limelight. The ultimate aim was to increase attention from big brands, and to this end, Dinner Divas was an advertising funded program. This was not supposed to be a cooking competition, but rather a blogging competition. The judges were tasked with tasting the food, reading the blog, and making a decision based on both components. Dinner Divas was meant to garner exposure for the bloggers who entered. Here is a synopsis of each episode. 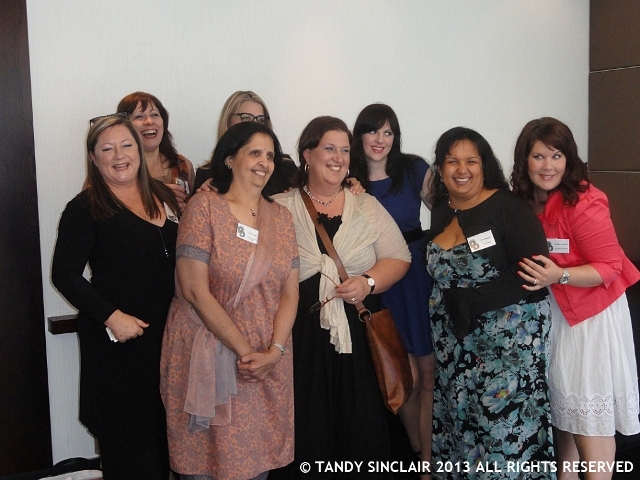 Disclosure: I was invited to the launch of Dinner Divas and I was not asked to write about the program. This post is in line with my blogging policy. Tandy, this is such a wonderful post and you and your readers are correct in saying that many good friendships were made and tons of fun was had by one and all. From listening to the contestants, it was a lot of fun! Wow.. this sounds like such a fun event to attend. Congrats to the winner. Thank you Kay, it was fun! i know that it ia a competition but sounds like an amazing possibility to meet fellow bloggers as well. What did you think of the programme, did it meet it’s aims? The recipes and dishes sound fabulous! What a comprehensive and well-researched post! Thank you so much from all of us – we are thrilled. Hoping you are having a lovely week and a gut yontiff! Love and chag sameach to you and your loved ones. Wow that sounds like a spirited battle! A lot of delicious sounding food was made! I think it was spirited indeed!